Hydrotherapy has been shown to revitalize body and mind, help heal injured tissue, and relieve aches and pains. 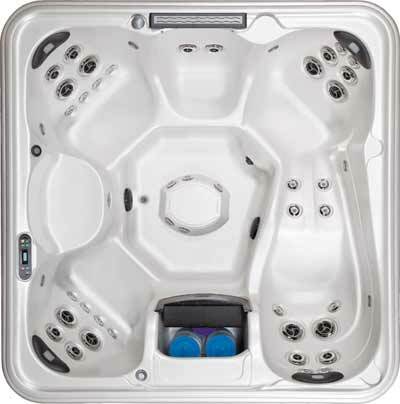 You can enjoy the end of every workout in your 742L spa, as the hot water and massaging hydrotherapy jets soothe strained muscles and rebuild tissue, even after a particularly strenuous session. This spa provides your own personal lounger, along with seating for family and friends.